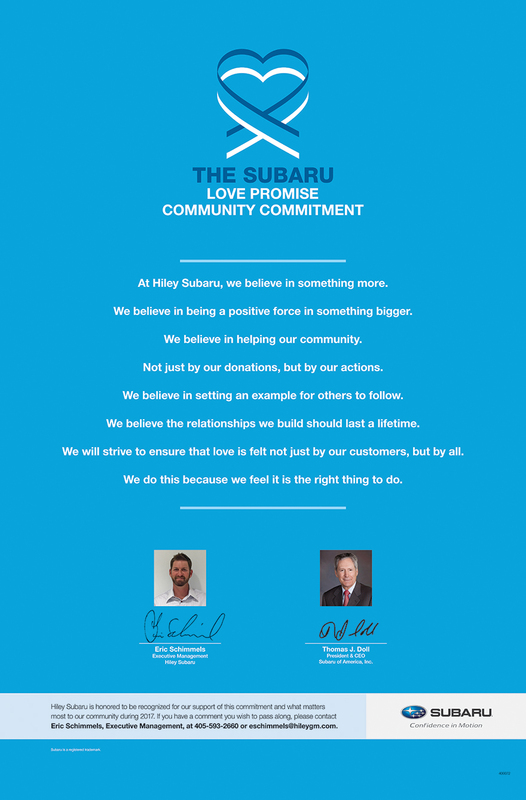 How is Hiley Subaru of Fort Worth dedicated locally to the Love Promise? 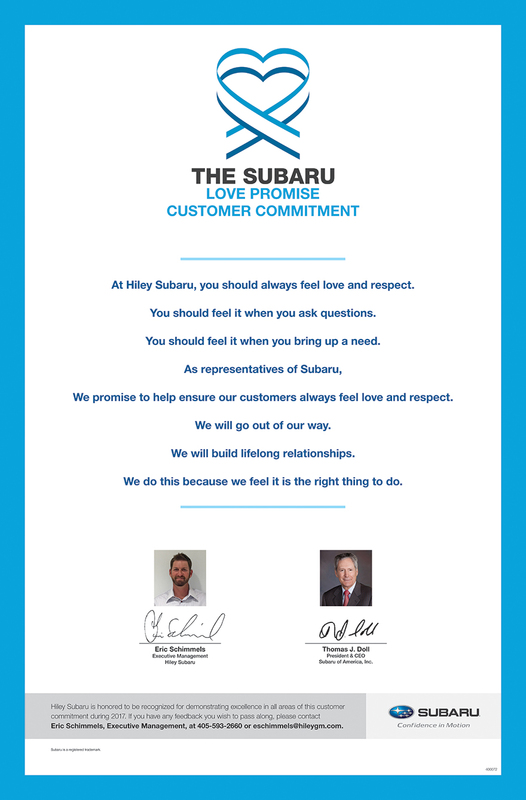 Did Hiley Subaru of Fort Worth go above and beyond, provide exceptional service, or support causes that are important to you? We'd love to hear about it. Every Monday, Wednesday, and Friday, Meals on Wheels’ driver Maurice sets out at 10:00 am and gets back to the office at 3:00 pm after delivering our Johnson County Rural Route. This route goes to our most rural and isolated areas in Johnson County. He drives 98 miles roundtrip, averaging stops at 23 stops, checking on and delivering meals to just as many seniors that otherwise would not see anyone or have any contact with the outside world. 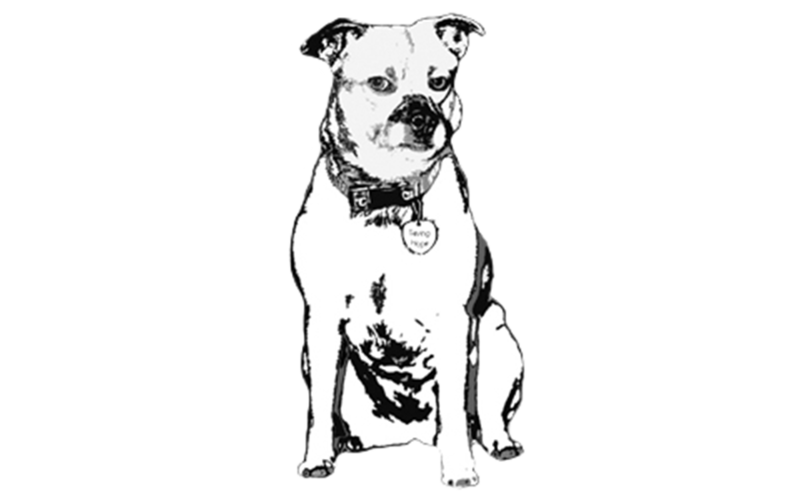 Many times he does a little extra like picking up their newspapers, getting their mail from their mailboxes, delivering supplemental pet food, if needed for companion pets, and most of all making sure they are safe and secure in their own homes where they want to be. We couldn’t do it without our Subaru Outback! Check out the latest pictures of our Outback in action out on the backroads! 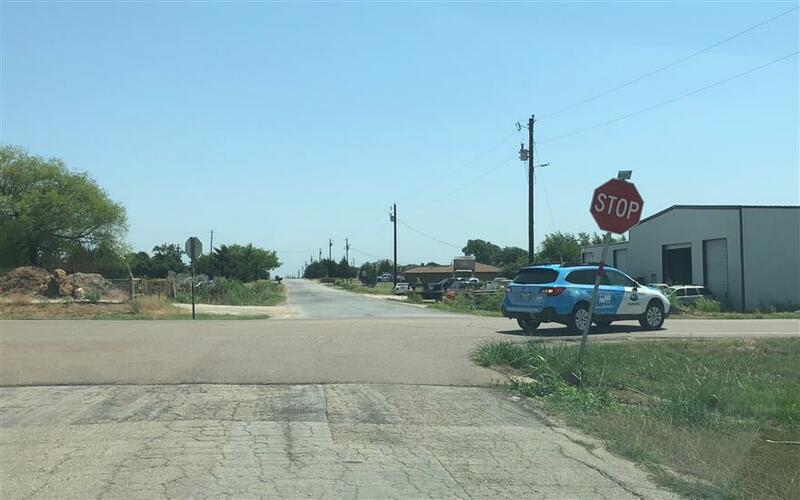 We've had our 2018 Outback for almost six months and have driven more than 6,570 miles delivering over 2,615 meals to seniors in the most rural and isolated areas of Johnson & Ellis counties. Although the value of this vehicle can be validated by statistics, the bigger story is the impact on the lives of those we are able to serve with the help of the Subaru Outback. In 2016, we began serving a sweet couple,Frank and Shirley. Frank is a Veteran that served his country proudly, but now has reached a point that he and his wife are dependent on Meals on Wheels for their lunch meals. That is over two years of meals, more than 1,040 meals and over 725 days that Frank and Shirley have been able to stay healthy and independent in their own home. Frank has PTSD, scoliosis in his neck, high blood pressure, Stage III kidney disease stage, short-term memory loss and Meals on Wheels help keeps him healthy and at home where he wants to be. Once a month, Frank and Shirley also receive AniMeals for their companion pet. So not only is our Outback used to deliver nutrition to seniors, but also to pets that receive supplemental pet food on our rural routes. We are proud of the real-world successes clients like and look forward to our next visit with them. Through a faithful, long-term partnership with Hiley Subaru and Meals on Wheels of Johnson & Ellis Counties, Santa arrived early this year! Meals on Wheels of Johnson & Ellis Counties unveiled the new 2018 Outback this holiday season. Meals on Wheels of Johnson and Ellis Counties Executive Director Christine Hockin-Boyd was so happy to see the clients’ reactions to the new vehicle most of all. “The clients were so excited to see Santa and our new Subaru. We all giggled as some wanted their picture made with Santa while others ‘oohed and aahed’ in delight of the beautifully wrapped car. Several clients exclaimed how nice Subaru was to give the car to Meals on Wheels knowing how it would benefit us in serving our seniors.” And Santa himself said, “I couldn’t have given a better present myself.” On average each month, MOWJEC drives almost 20,000 miles to deliver meals, and the donated 2018 Subaru Outback enables our staff to reach more seniors and serve more meals each month. But this allows us to be quicker and more efficient in our deliveries. Long range it’s going to play into our hopes to add additional routes to serve more clients. 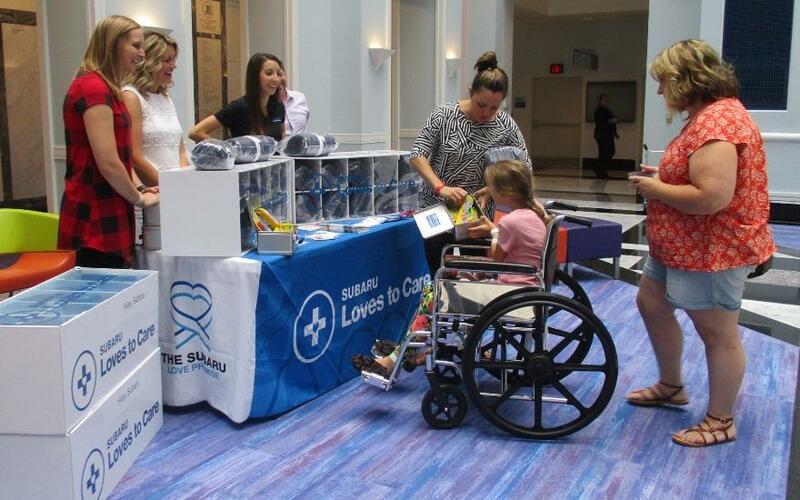 On July 17, Hiley Subaru joined forces with The Leukemia & Lymphoma Society (LLS) of North Texas to deliver warmth and hope to patients battling cancer and Cook Children's Hospital in Fort Worth. This delivery was made extra special because the hospital allowed us to come during an ice cream social being held for the patients. When one patient received her blanket and craft kit she smiled and said, "Thank you so much. I love it here!" She had been admitted to the hospital just a few days before, and thanks to Subaru's love promise, she felt joy during a time of many uncertainties.Subaru supports the Leukemia & Lymphoma Society in their mission to cure leukemia, lymphoma, Hodgkin's disease, and myeloma, and to improve the quality of life of patients and their families. LLS and patients across the country thank Hiley Subaru for their generosity towards our community! Because of you, our patients feel supported through their treatment and in survivorship. Thank you, Hiley Subaru! 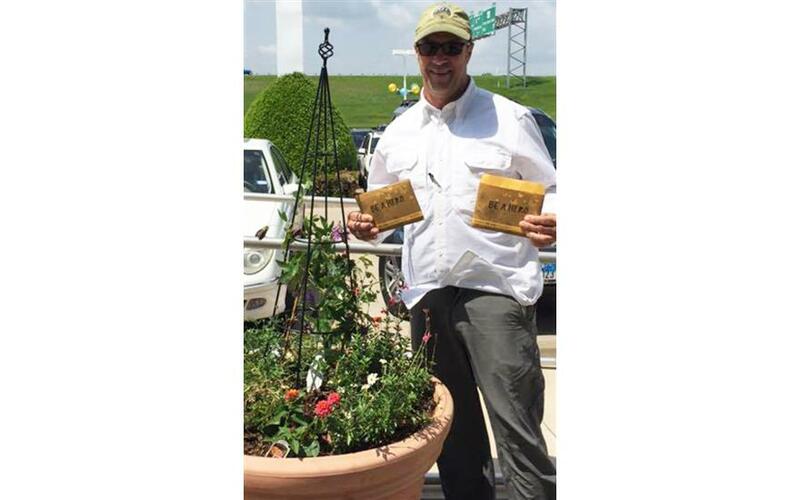 A couple of weeks ago, I was at Hiley Subaru helping set up their National Wildlife Federation Butterfly Heroes pollinator planter. I thought I was just going to help them set up, and explain how best to care for their new plants and how much their actions would help pollinators. Instead, I was so pleasantly surprised when a customer came by because he was so enthusiastic about what Subaru was doing to help the butterflies! He was so happy with his information packet and his seeds! He spent time with us sharing his enthusiasm for saving the butterflies and that just made my day! 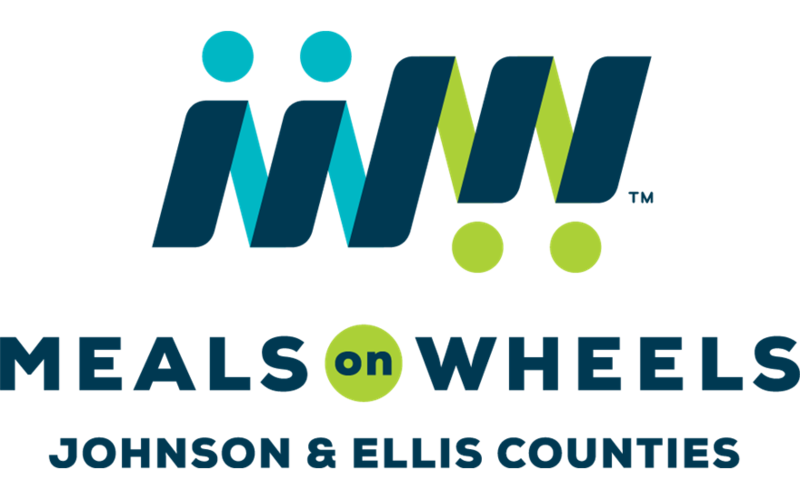 Meals On Wheels Inc. of Tarrant County is committed to promoting the dignity and independence of older adults, persons with disabilities, and other homebound persons by delivering nutritious meals and providing or coordinating needed services. We prepare, package,and deliver nearly 1 million meals each year in our community. In addition to the home-delivered meals program, we also have an emergency pantry for our clients. It includes shelf stable, ready to eat food items and personal care products to help fill the gaps they might experience. The team and customers at Hiley Subaru generously helped restock this pantry and delivered a meal route. 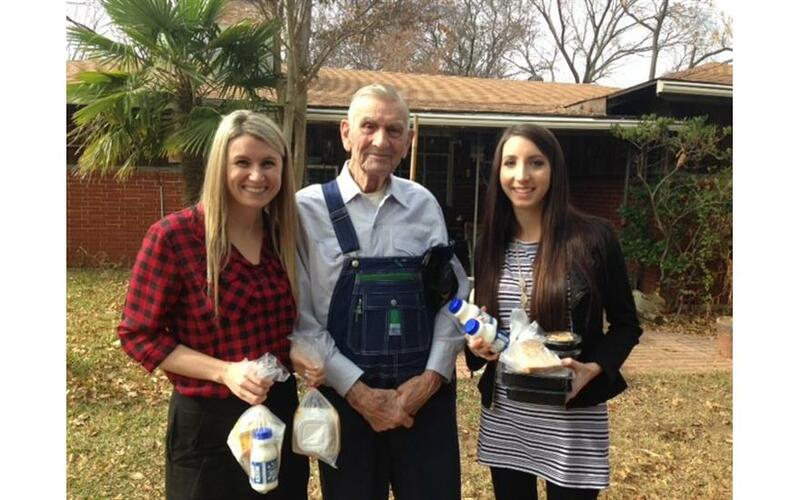 Meals On Wheels is grateful for the donation of goods and time the Hiley team has given our program. SAVING HOPE, a North Texas organization, inspired by the determination of an abused pug named HOPE, is proud to partner with Subaru in raising money for our four-legged friends! A foundation focused on animal abuse, animal neglect and overpopulation, Saving Hope puts an emphasis on education, especially regarding spaying, neutering and vaccinations. It is also our mission to help those who struggle to keep their pets because of economic hardships. Through the support of Subaru and the generosity of new Subaru owners, our partnership during the SHARE THE LOVE event raised $27,489 to keep tails waggin' in Texas! 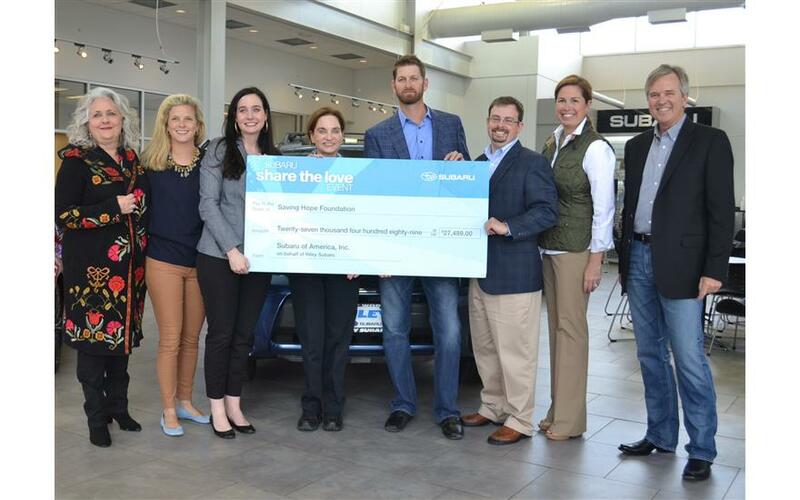 Thank you HILEY SUBARU for SHARING THE LOVE with SAVING HOPE! In October 2014, dozens of animal shelters across the country participated in ASPCA's Mega Match-a-thon. The goal? To find hundreds of animals forever homes. 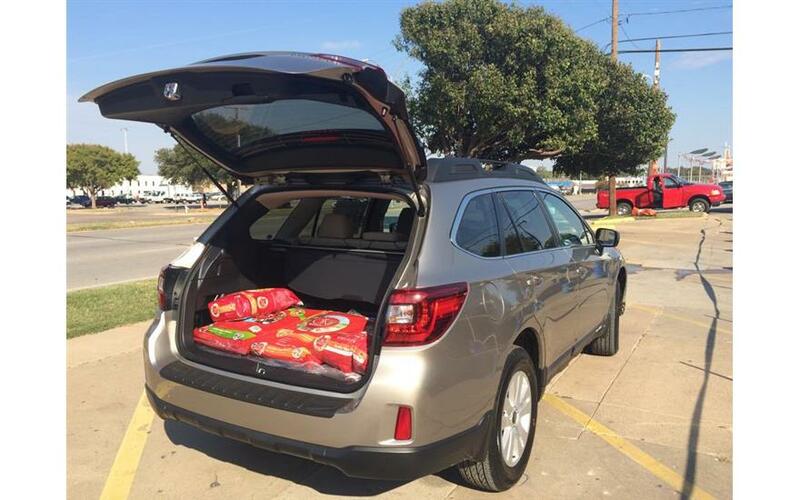 Subaru of America teamed up with our organization, the Humane Society of North Texas, to encourage people to donate pet food during the event. A large Subaru was parked outside of the shelter, and people waiting in line to meet their new forever friend were encouraged to fill it up with pet food! As the packages of pet food piled higher and higher, the smiles on everyone's faces grew! 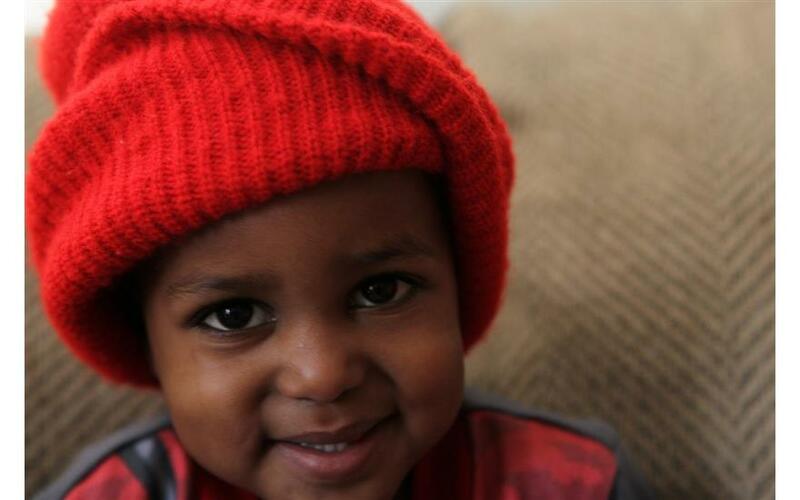 Every year World Relief Fort Worth hosts a coat drive for the refugees that we resettle. We resettle refugees from all over the world, including Burma, Nepal, Iraq, Afghanistan, Somalia and the Democratic Republic of Congo. As the refugees arrive in America, they come with little more than the clothes on their backs. The coat drive provides for an actual need in our community, and we couldn't do it with out our community partners like Hiley Subaru of Fort Worth. Hiley Subaru of Fort Worth collected coats at their dealership and were able to donate them to our refugee community for our Coats & Cocoa event. We are so thankful for their support! 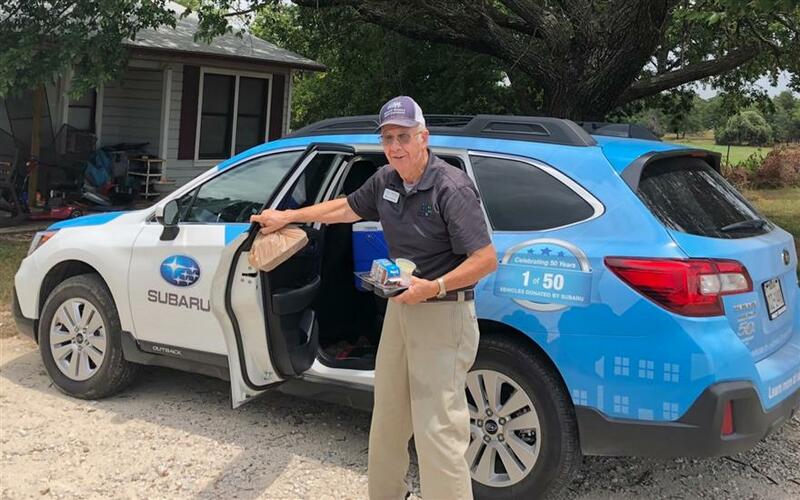 Meals-on-Wheels of Johnson and Ellis Counties is proud to continue our partnership with Hiley Subaru to help fight senior isolation and hunger. 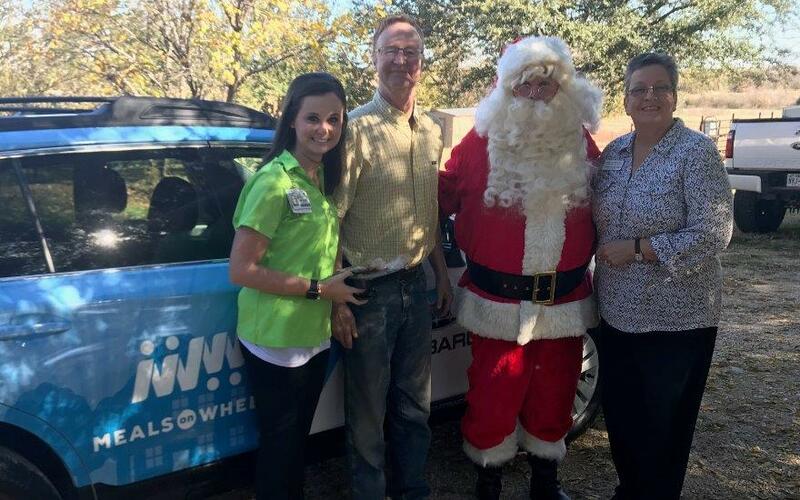 Employees from Hiley Subaru delivered meals and promoted the partnership by sponsoring a Subaru vehicle in the annual Burleson Rotary Club Christmas Parade to raise community awareness and participation to support local seniors in need. 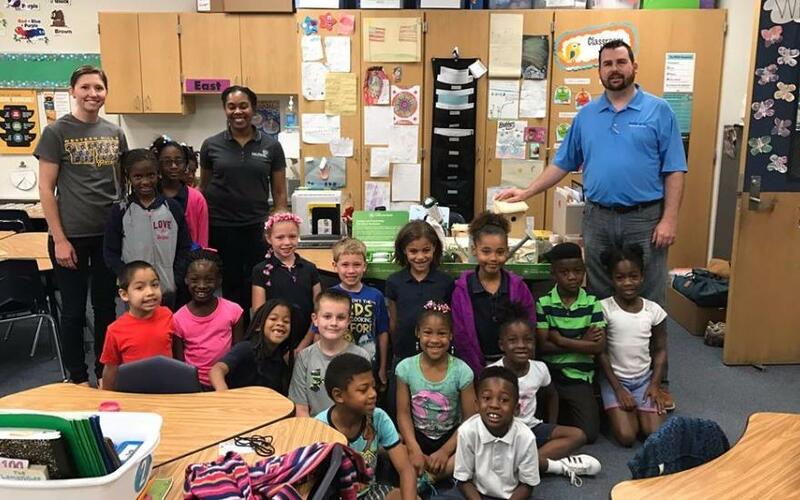 This local effort is part of the Meals On Wheels Association of America partnering with Subaru of America, Inc. for their national year-end "Share the Love" event, designed as a way for Subaru retailers to give back to their local communities. 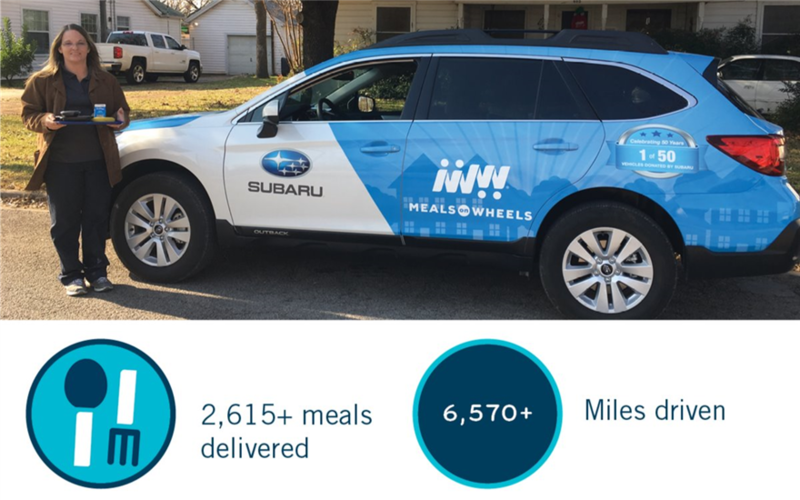 "Subaru has been a great partner for Meals on Wheels programs nationwide", said Vinsen Faris, Executive Director for Meals-on-Wheels. "Not only has Subaru helped to raise money for non-profit organizations, but the Share the Love Event has also raised awareness and helped recruit volunteers, all toward the goal of ending senior hunger", he added. 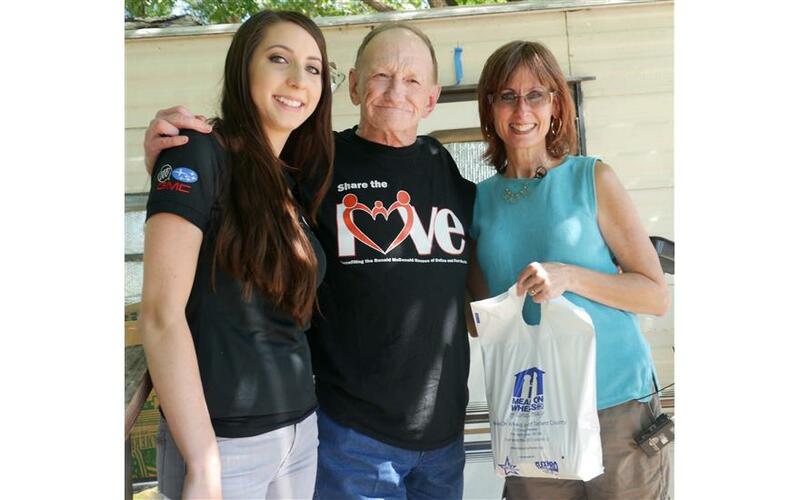 As a proud Subaru "Share the Love" event charitable partner, local Meals On Wheels Member programs that partner with Subaru retailers are eligible to earn grants of up to $35,000. This can provide an extra layer of support to help deliver nutritious meals and other important services to our elderly neighbors in Johnson and Ellis Counties.